They're not married, but lovely singer/actor Julie Budd and acclaimed producer/arranger Herb Bernstein celebrated an anniversary of another kind this week: their 50-year collaboration of making music together. The soiree took place on Thursday, September 15th, at New York City's quintessential cabaret hotspot The Metropolitan Room. With a champagne toast, a Q&A with Frank Dain of Cabaret Scenes, and a performance by Ms. Budd, it was truly an "afternoon delight"! 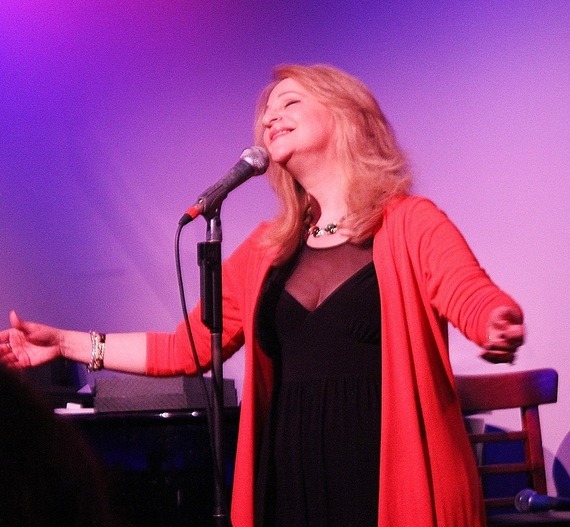 Julie shared with the audience at The Metropolitan Room that she knew the Budd/Bernstein creative partnership would work well right from the beginning. She told us, "We were a good team from the start. I met him at the club. There was nobody there. It was nice and quiet. He played some stuff on the piano. I didn't even know him, and he didn't even know me. There are a lot of musicians here tonight that will get with this: Sometimes when you are with somebody, even when you don't know them, you just sort of 'lock in' with them. You have that kind of thing where it's almost like you knew them from another time. You sit down and you start working with them, and you'll say, 'My G*d, it's like I know them already!' Right from the start, we connected." She added that the two are so "in sync" that they have even written shows together over the phone. Julie Budd went on to appear on the wildly popular Merv Griffin Show, where she was often called "Little" Julie Budd. She also performed on such American living room staples as The Mike Douglas Show, The Ed Sullivan Show, The Tonight Show, and The Jim Nabors Hour. She was a regular on the NBC TV series Showcase '68. At the age of 16, Budd was the opening act for Frank Sinatra at Caesars Palace in Las Vegas. (More about Sinatra later...) Since her teen years, the little girl with the not-so-little voice has never stopped performing as both a singer and an actor. Budd has acted on the big screen in several movies, and has performed live on stage at venues both big and small all over the world. Starting with her debut album Child of Plenty in 1968, Ms. Budd has seven albums to her name. After the Q&A, Herb Bernstein was presented with an award by The Metropolitan Room's Bernie Furshpan for his contributions to both the cabaret world and to arts and entertainment at large. 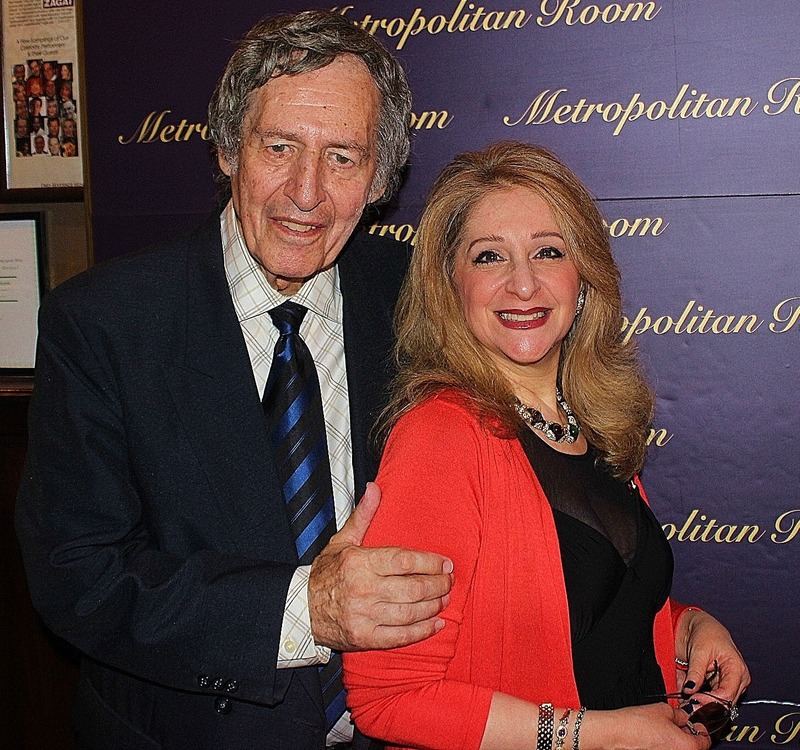 And, of course, what would a party at The Metropolitan Room be without music? Julie Budd gave the audience a poignant song that Bernstein wrote for her, called Looking Back. Also present that evening were performer/author Bobbie Horowitz; singers David Meulemans, Carla Gordon, Sue Matzuki, and Peggy Eason; musician Bryon Sommers, and performer/pop culture guru Tym Moss. Richard Skipper, who produced the event, told me, "Working with Julie Budd, who I have idolized for years, is a dream come true. Bernie and Joanne Furshpan jumped at the chance to celebrate the 50th anniversary of the musical collaboration of Julie Budd and musical arranger/conductor Herb Bernstein when I suggested it. Having Frank Dain, editor of Cabaret Scenes, come in for a brief on stage chat with Julie and Herb was the icing on the cake. My heart is full. Here's to the next 50 years!" Julie Budd's newest CD is named Remembering ... MR. SINATRA which she calls her most personal and authentic work to date: a tribute and valentine to Ol' Blue Eyes, who personally invited her to appear with him at Caesars Palace when she was just 16 years old. 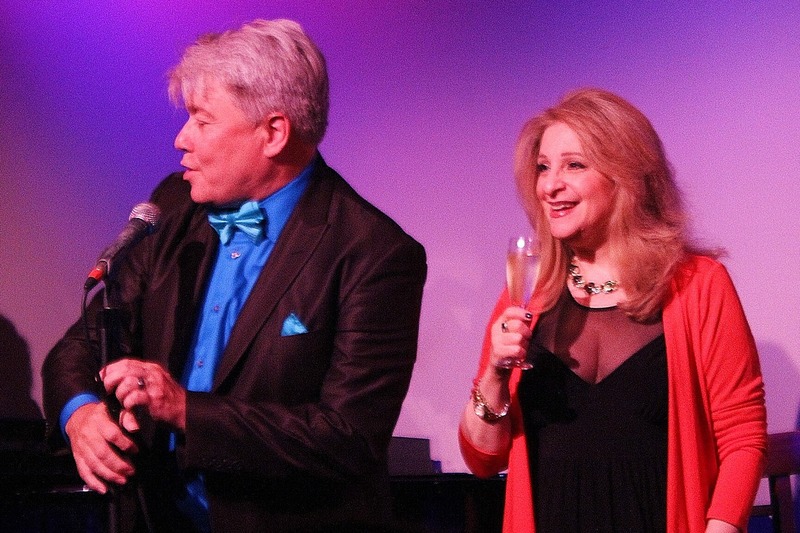 Budd and Bernstein will be combining their talents again on Wednesday, September 21 at 7PM for Julie's all-new show called A Show Biz Celebration...The Next Fifty Years. Where else? The Metropolitan Room, at 34 West 22nd St., NYC. Visit www.MetropolitanRoom.com for tickets and more info.